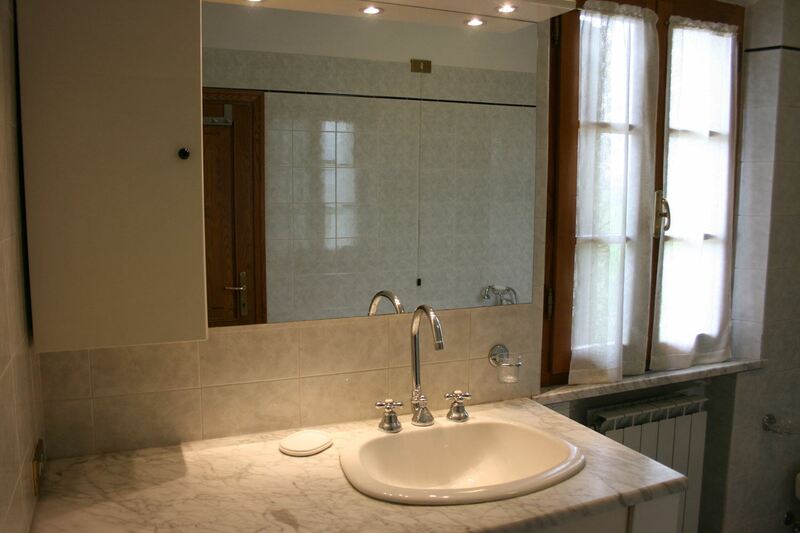 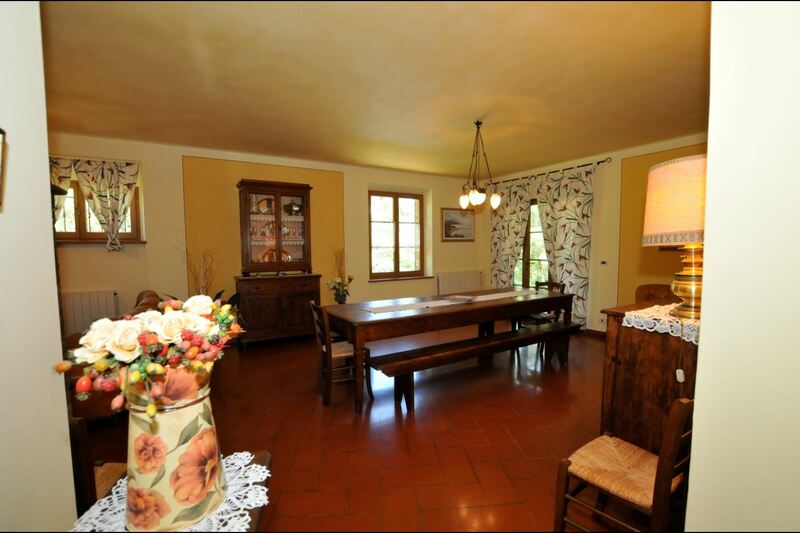 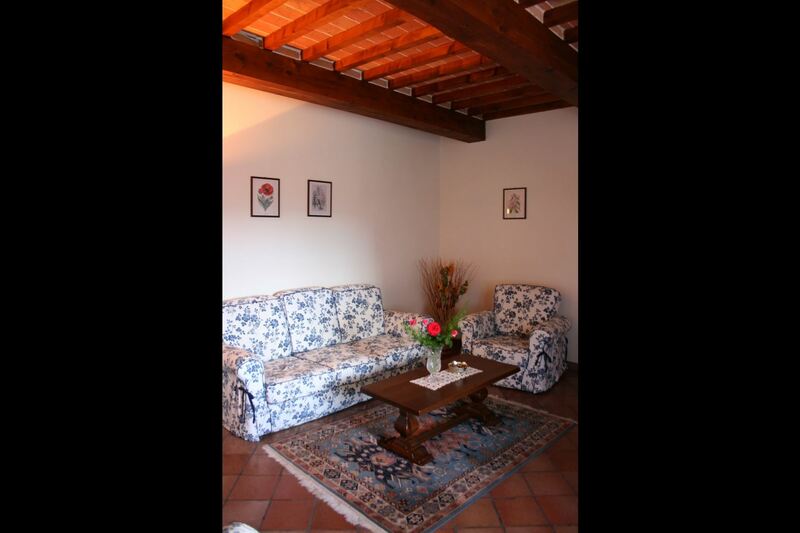 First floor apartment for 5 persons, nearby Lucignano, with large pool, table tennis and play area for children. 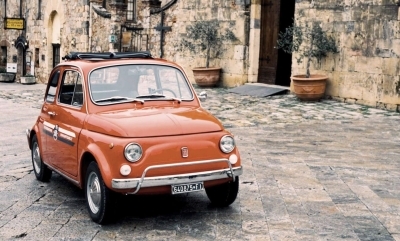 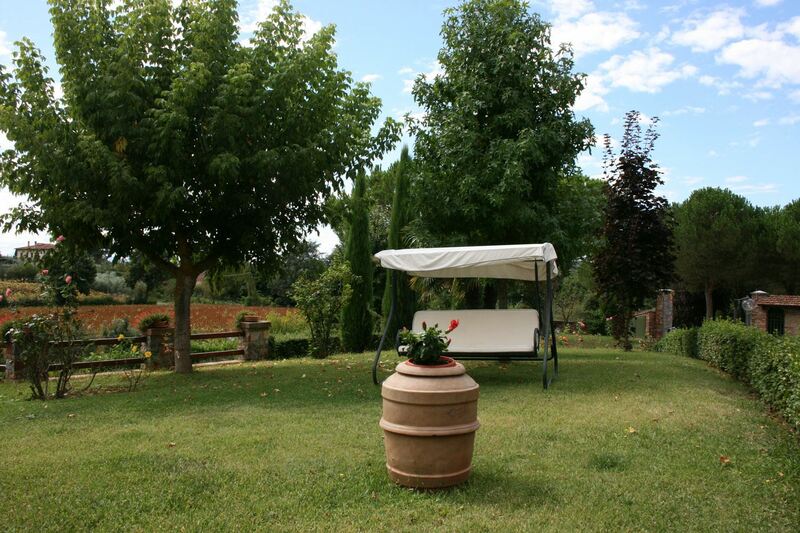 A relaxing vacation in the Valdichiana countryside. 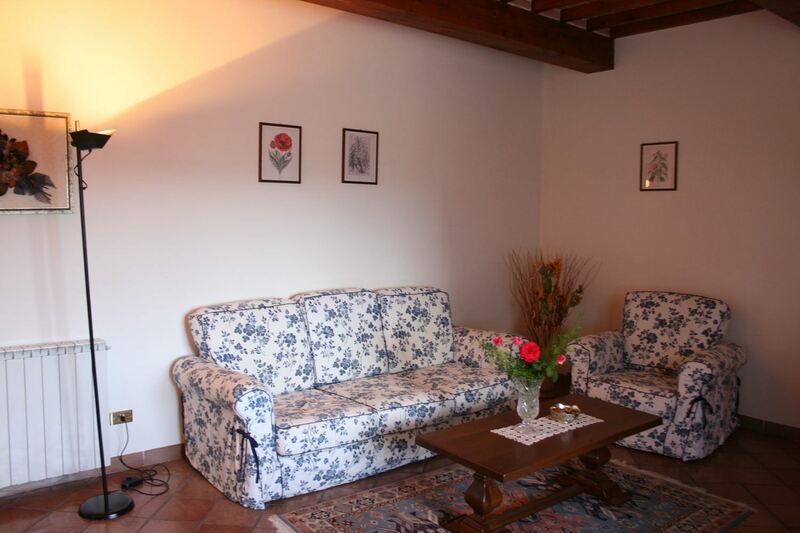 Two pleasant apartments. 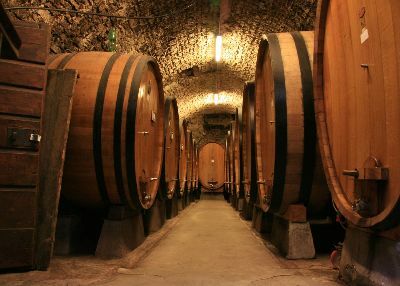 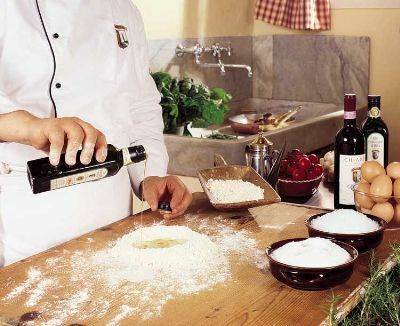 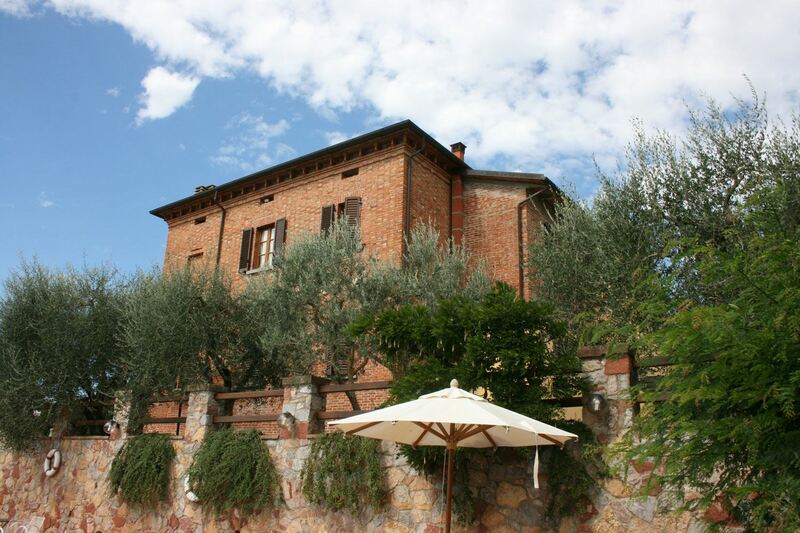 IL POMO and LA PALMA, have been carefully made from part of an old country house with views across to the soft hills and old villages of Val di Chiana. 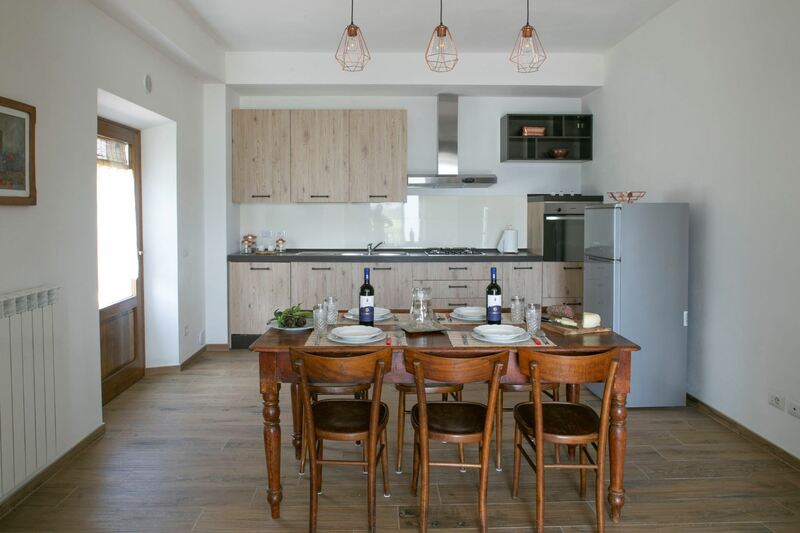 The apartments each have their own entrance and outside area equipped with garden furniture, are furnished with taste and include all modern comforts for those who are looking for the peace of the countryside in a welcoming environment. 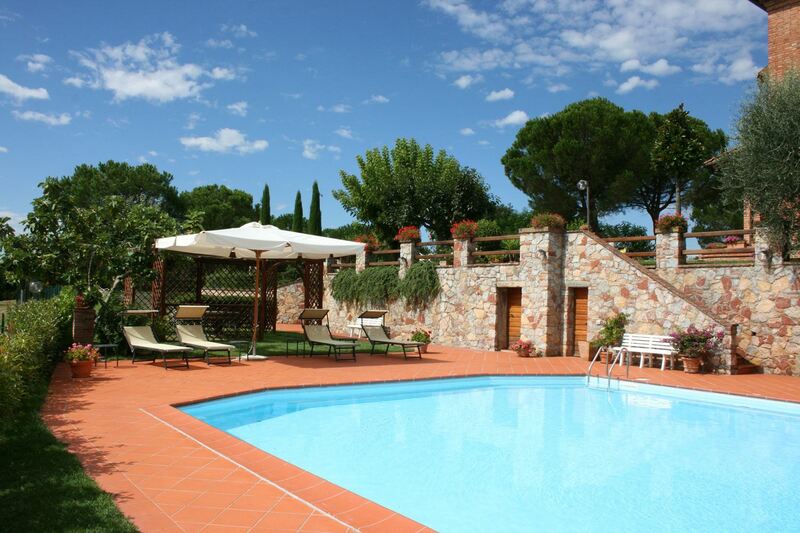 The well kept garden, the pool and all the services. 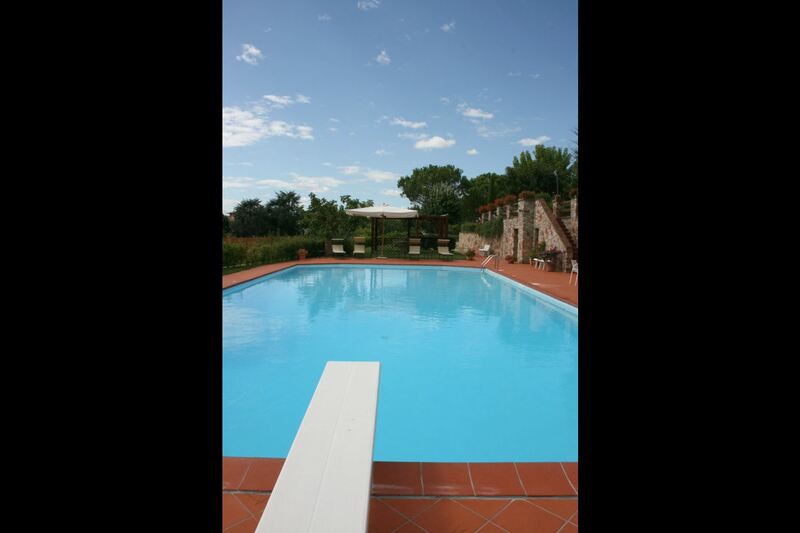 There is a large well kept garden with table tennis, play ground for children, barbecue and beautiful 9x18 m swimming pool (depth m 0,75-2,20) used by guests and the owners of the house, who live next door. 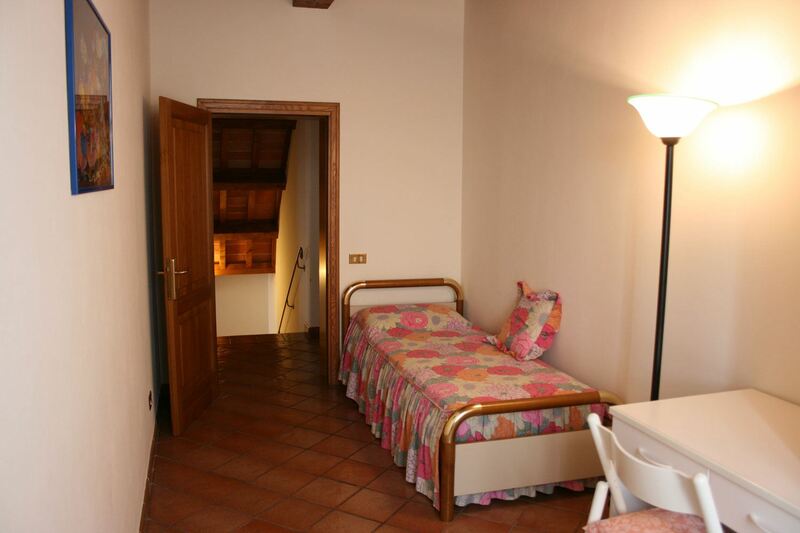 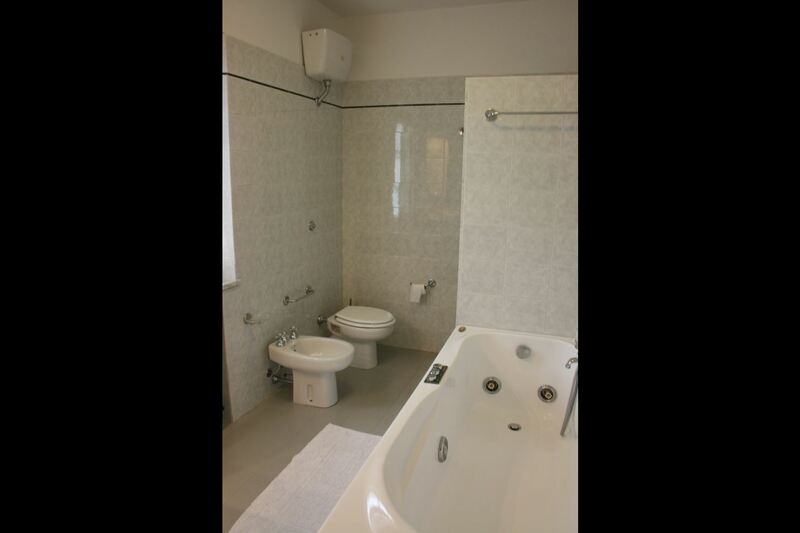 Apartment on the first floor reached by an inside staircase comprising sitting room with fireplace, dining room with kitchenette, double bedroom, single bedroom, twin bedroom, bathroom with jacuzzi and shower. 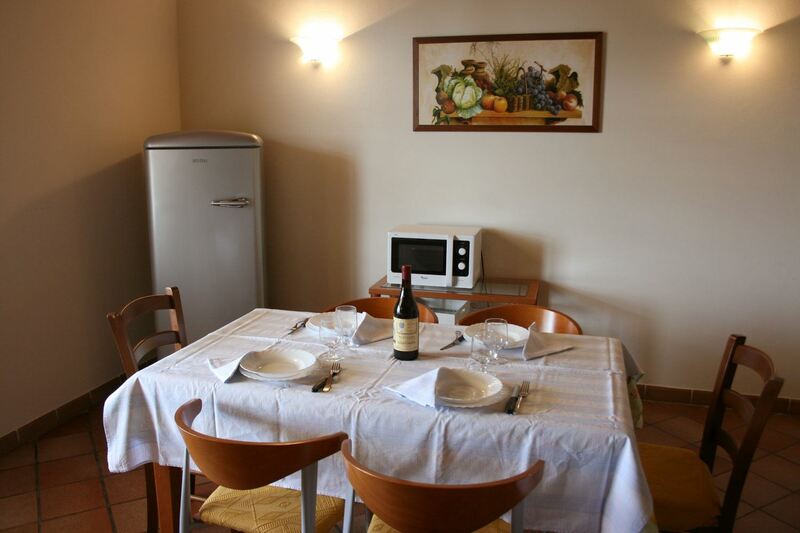 EQUIPMENT: Satellite Tv, washing machine, dishwasher, oven, microwave, freezer, moka coffee maker, filter coffee maker, toaster, Wi-Fi Internet access. 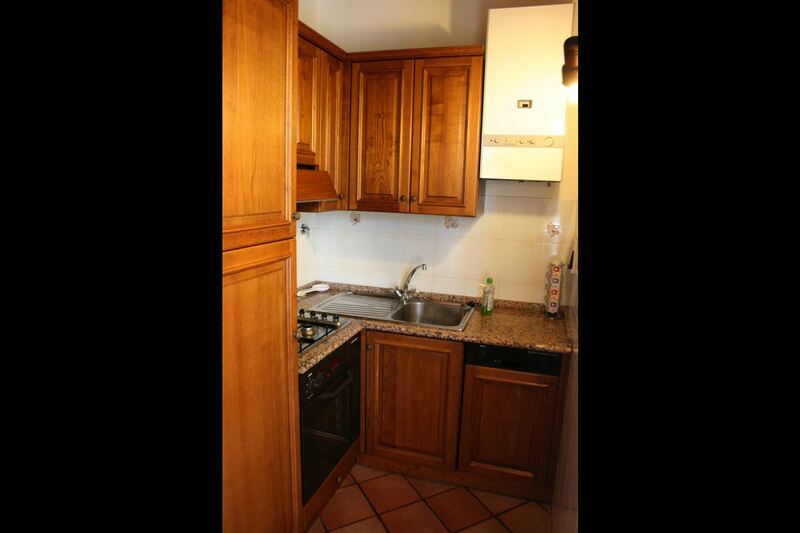 Obligatory final cleaning Euro 50 per apartment. 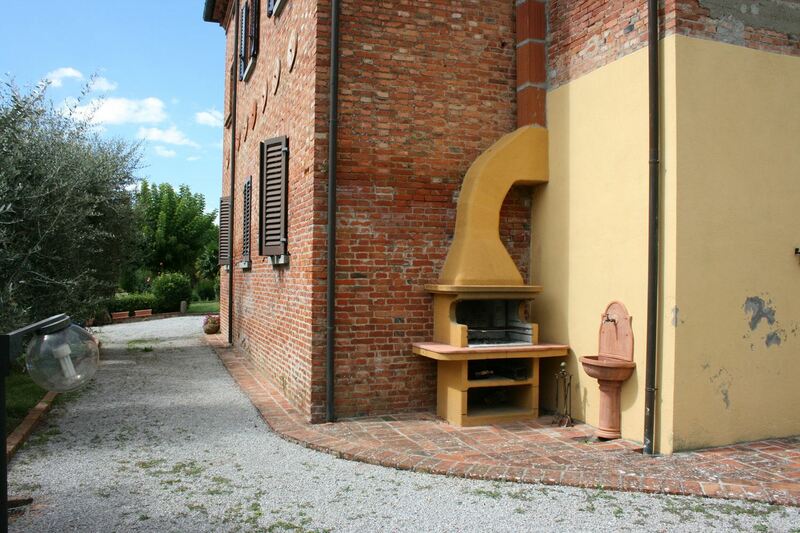 Heating Euro 5 per m3 per apartment. 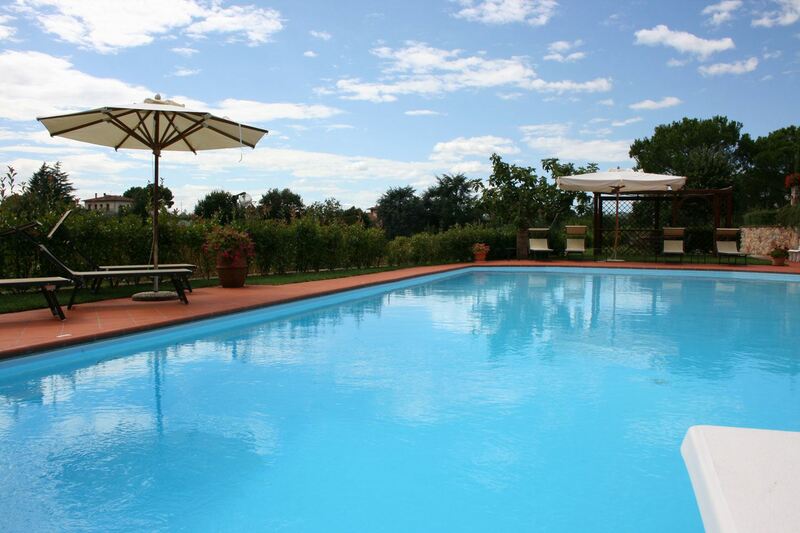 Shared pool open from 17/06 to 26/08. 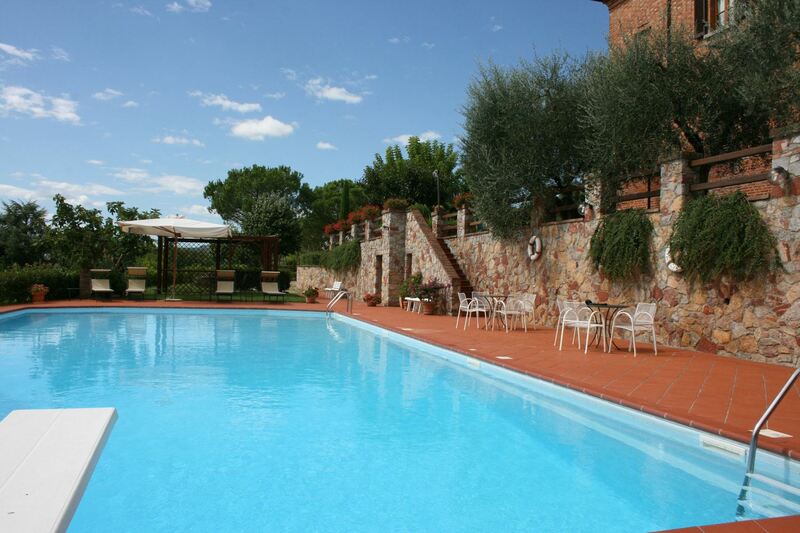 Swimming towels included in price if requested in advance. 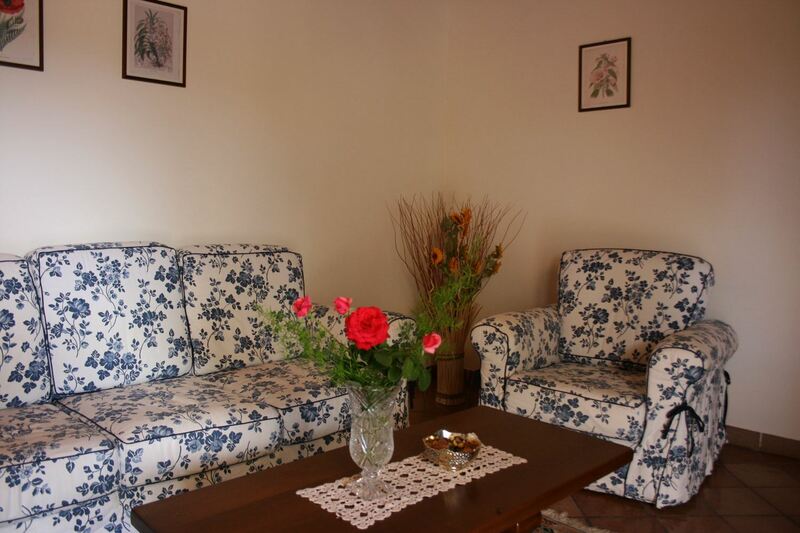 Pets are welcome on payment of Euro 20 each per week. 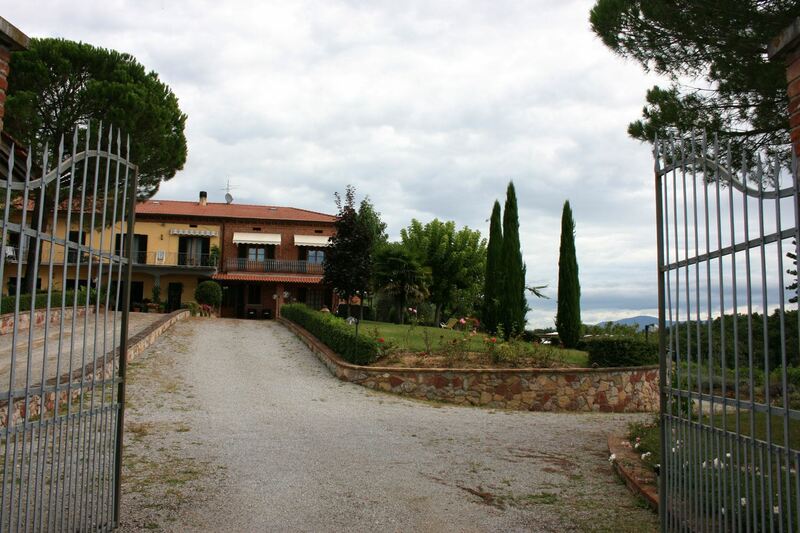 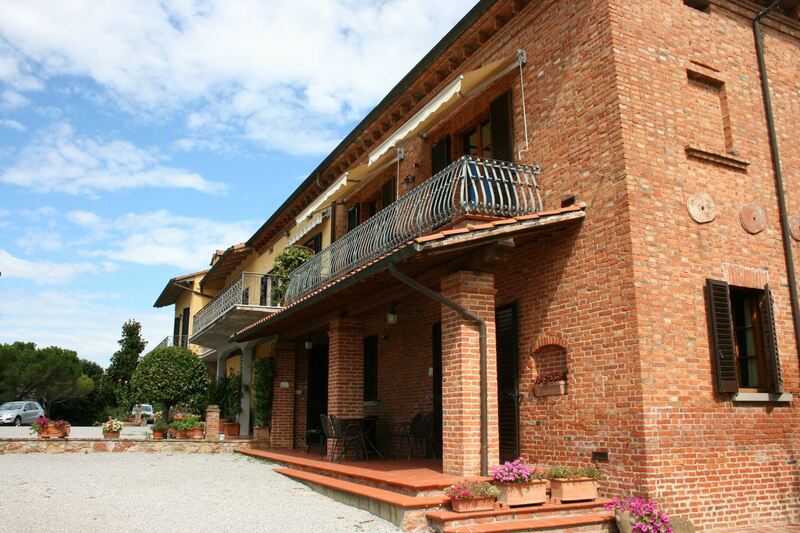 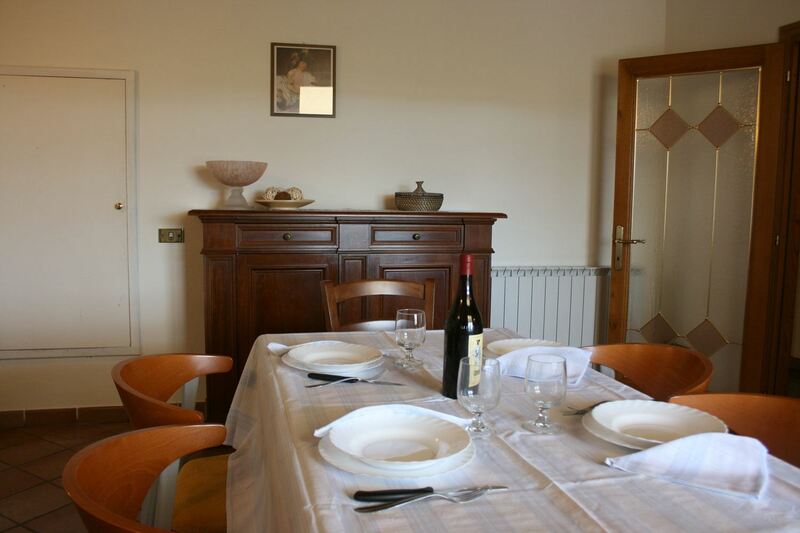 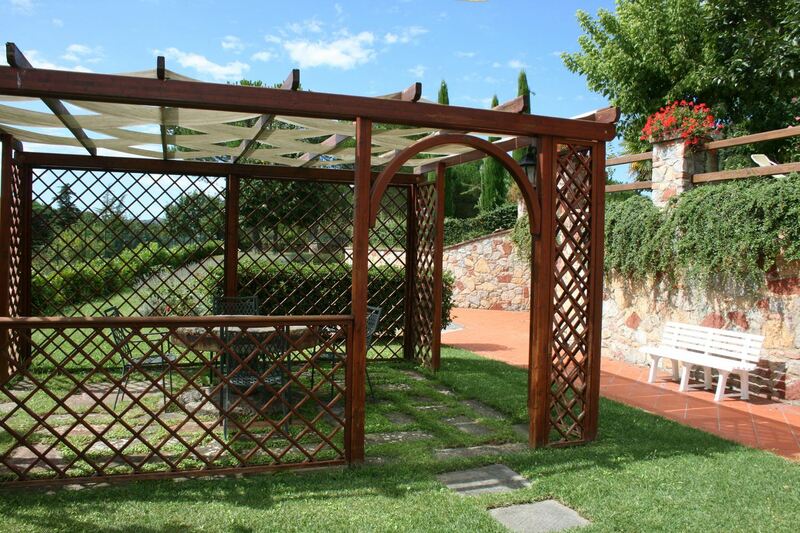 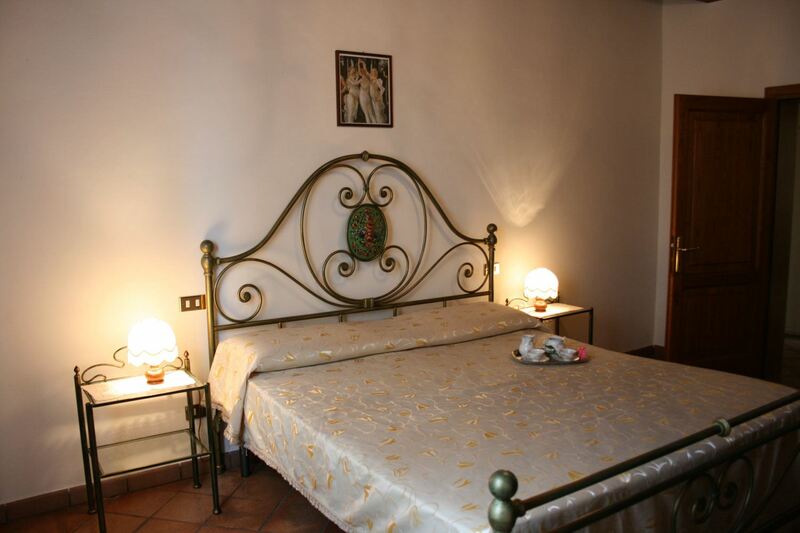 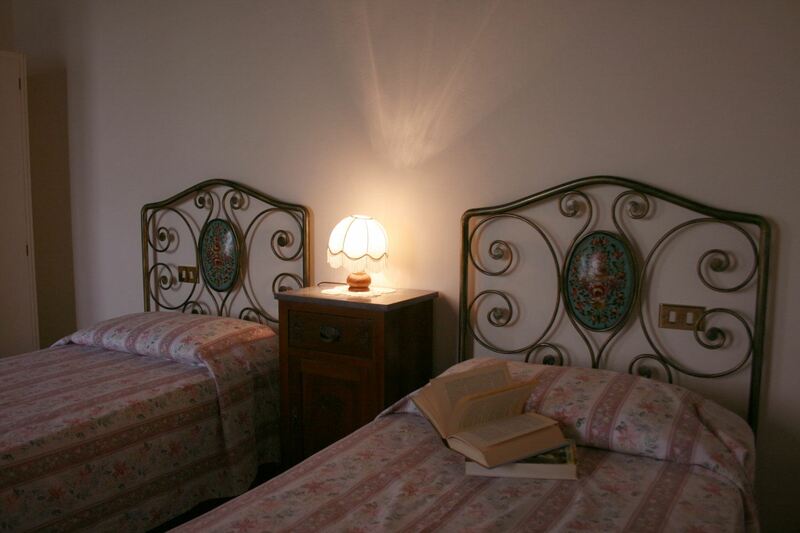 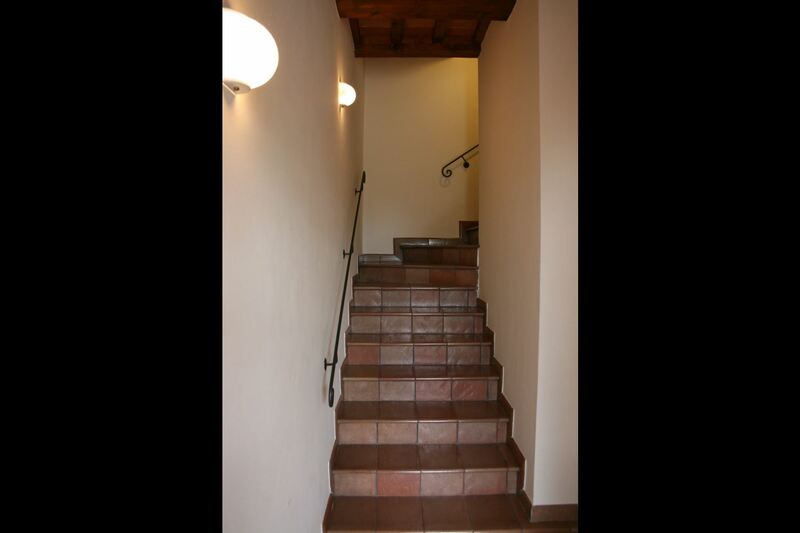 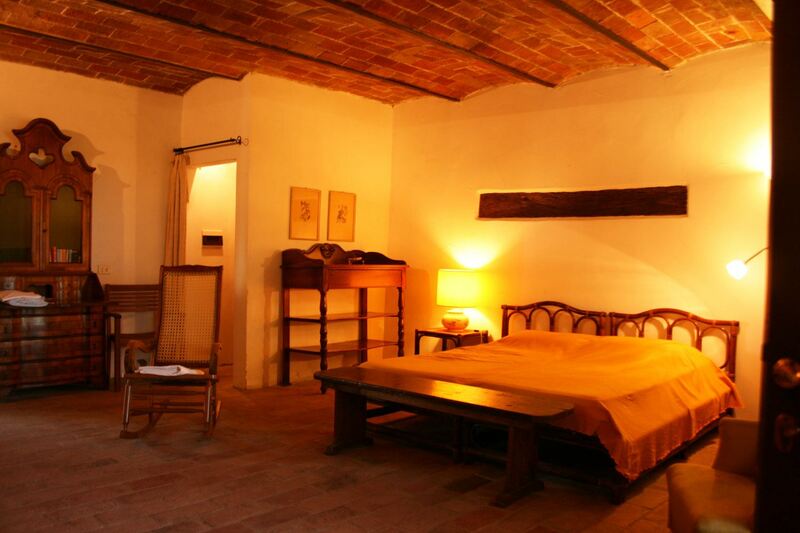 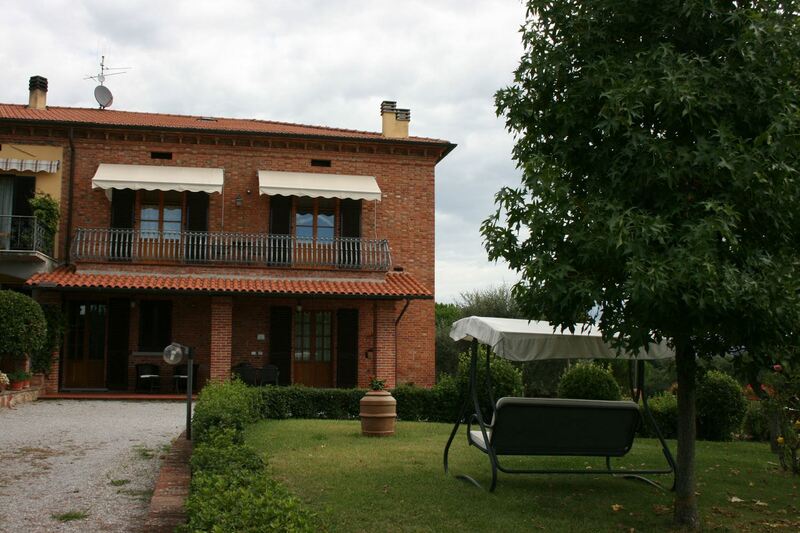 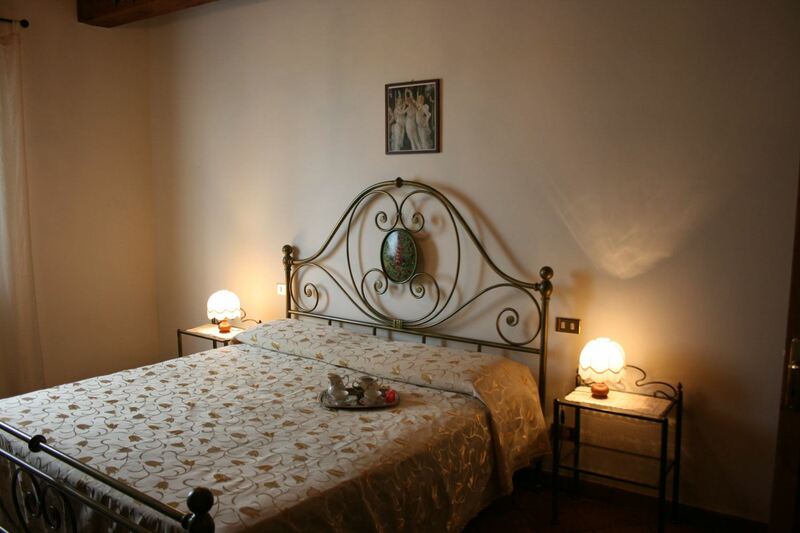 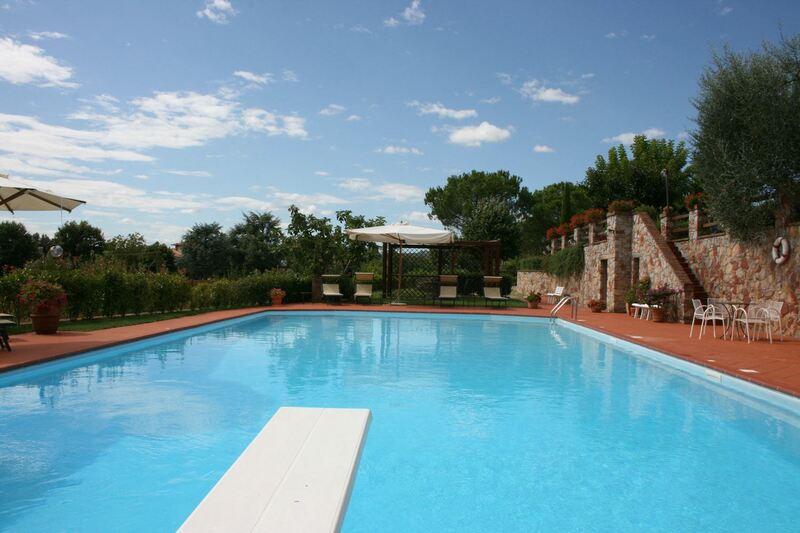 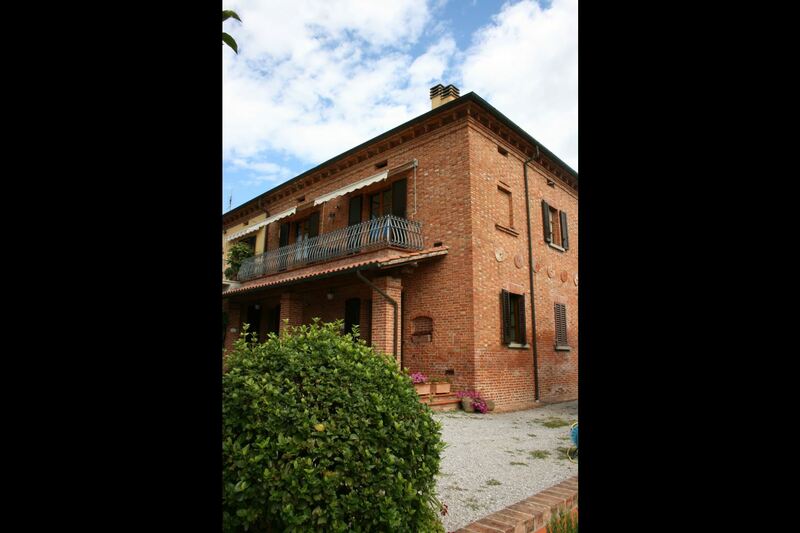 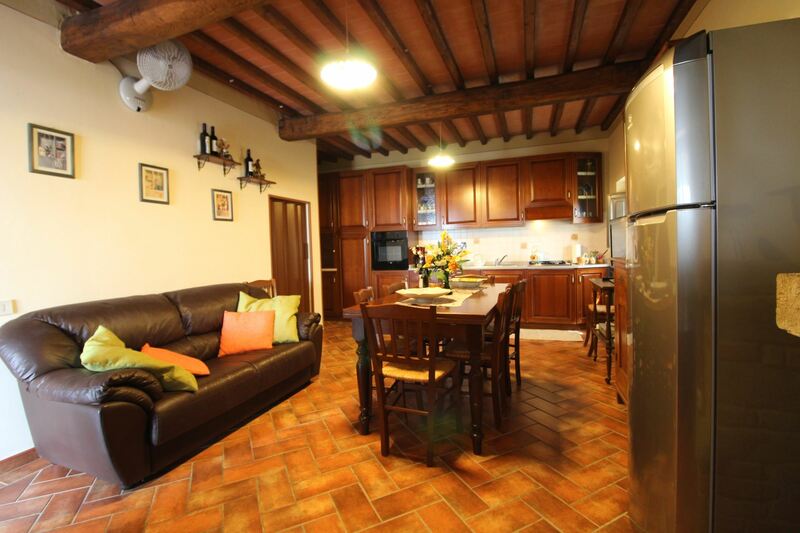 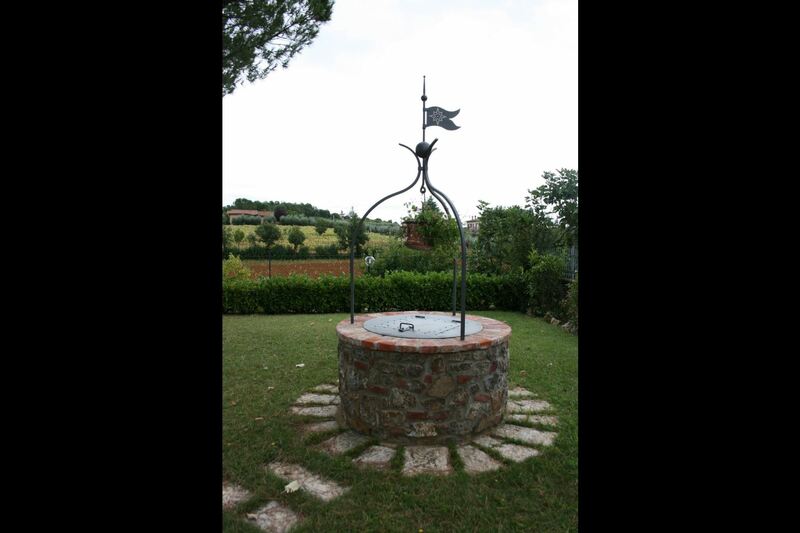 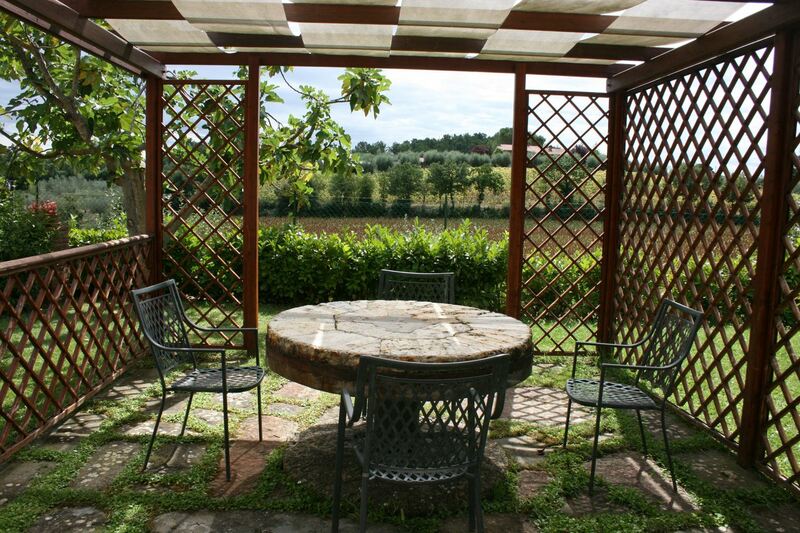 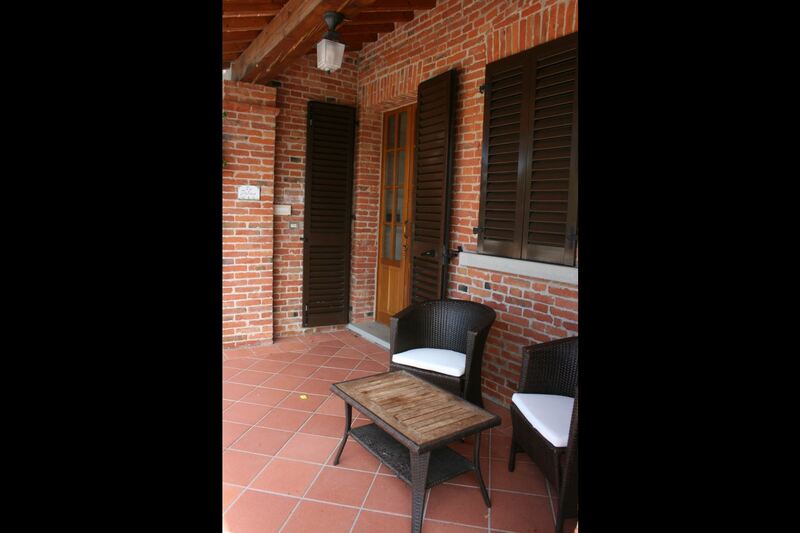 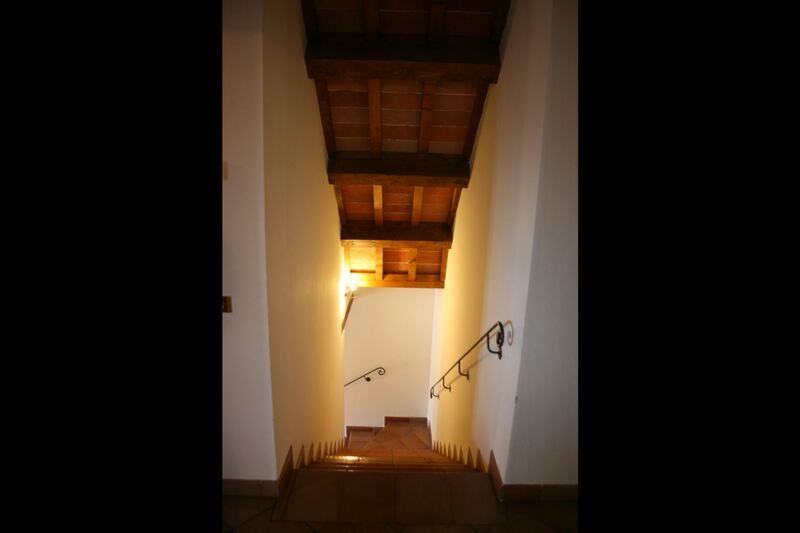 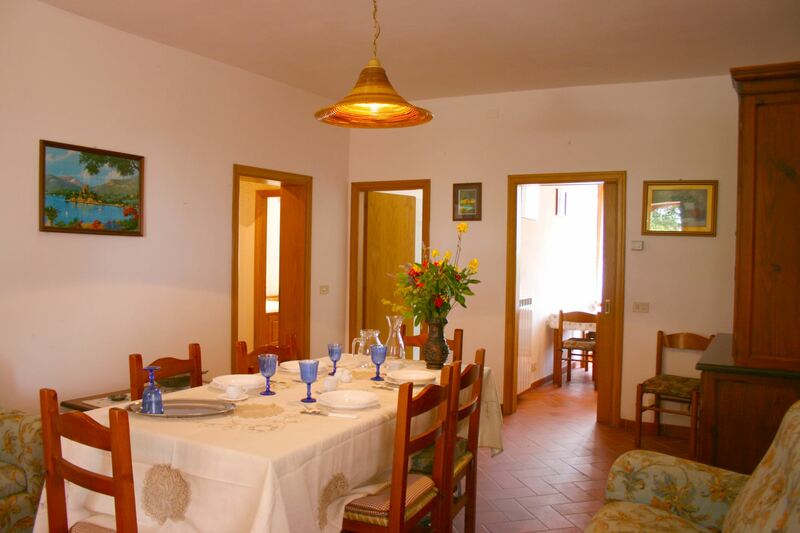 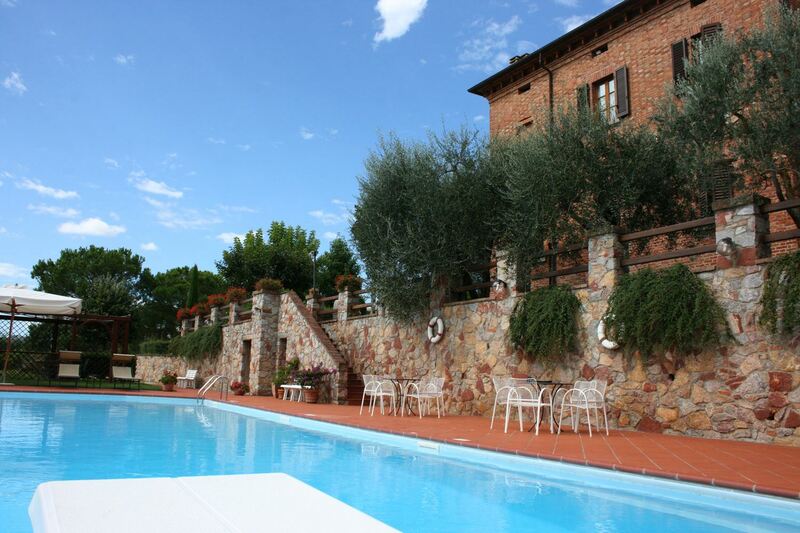 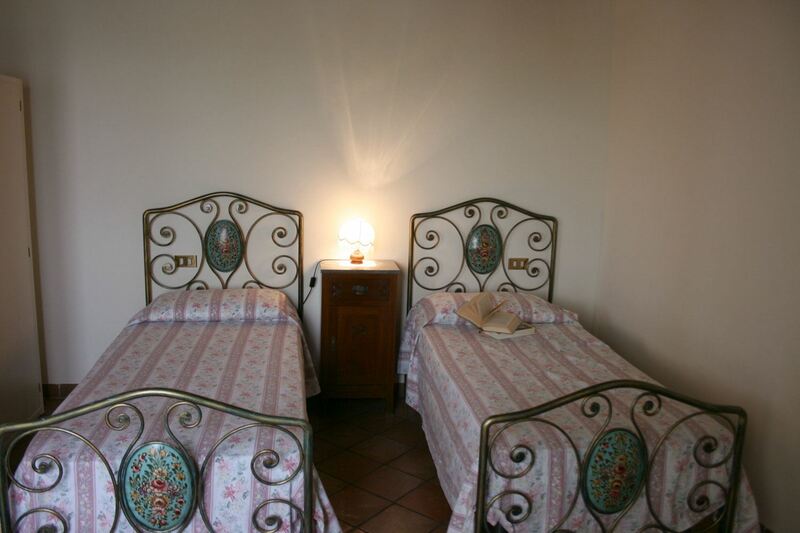 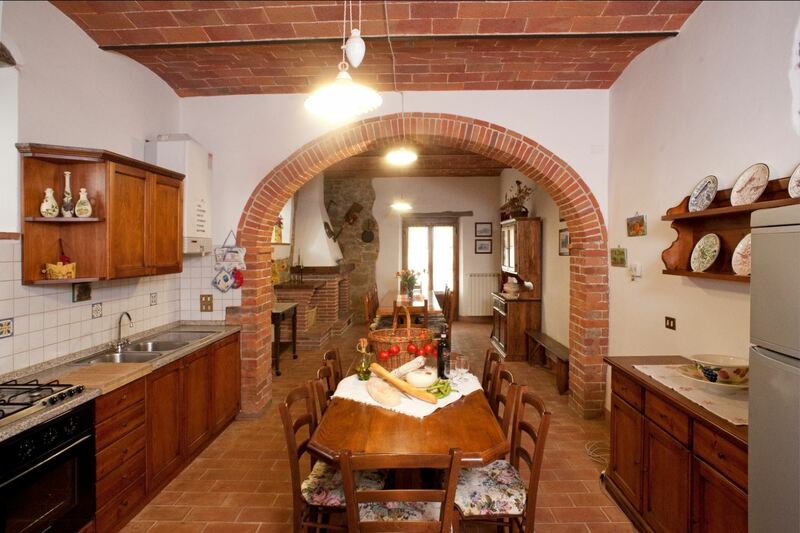 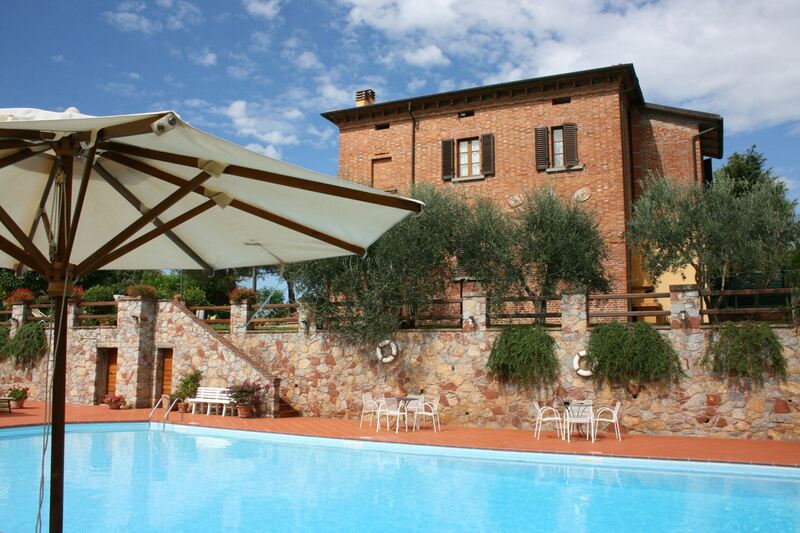 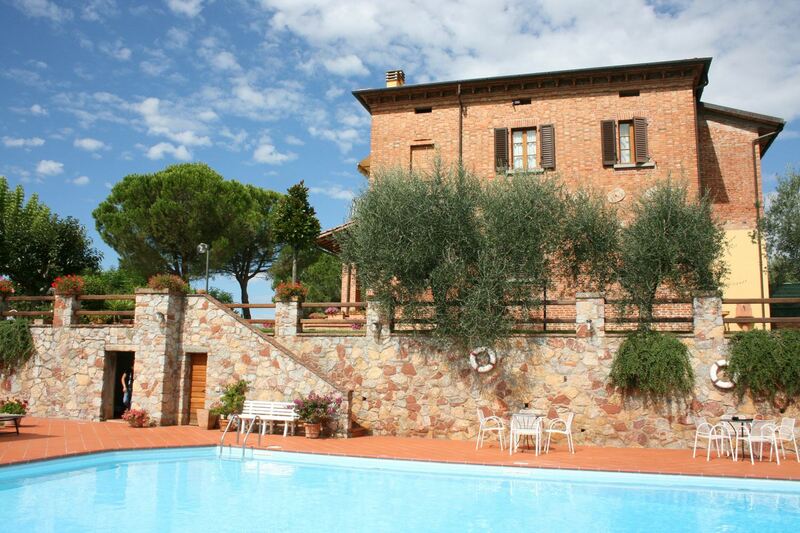 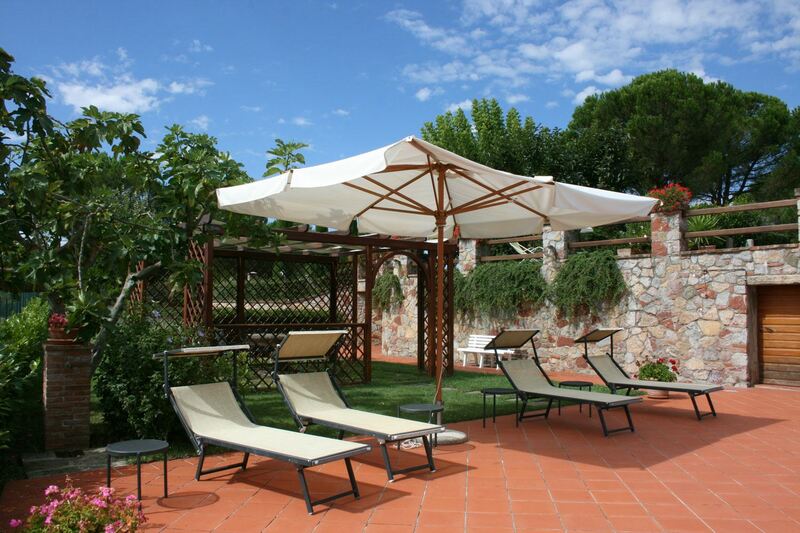 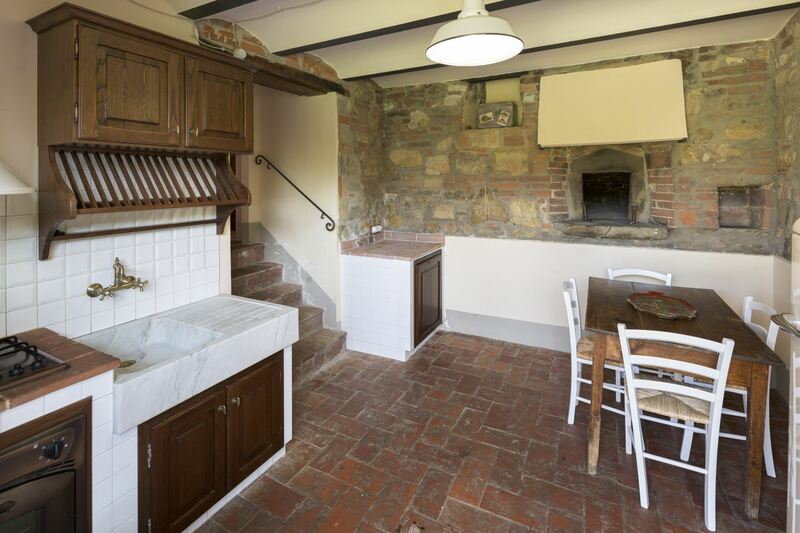 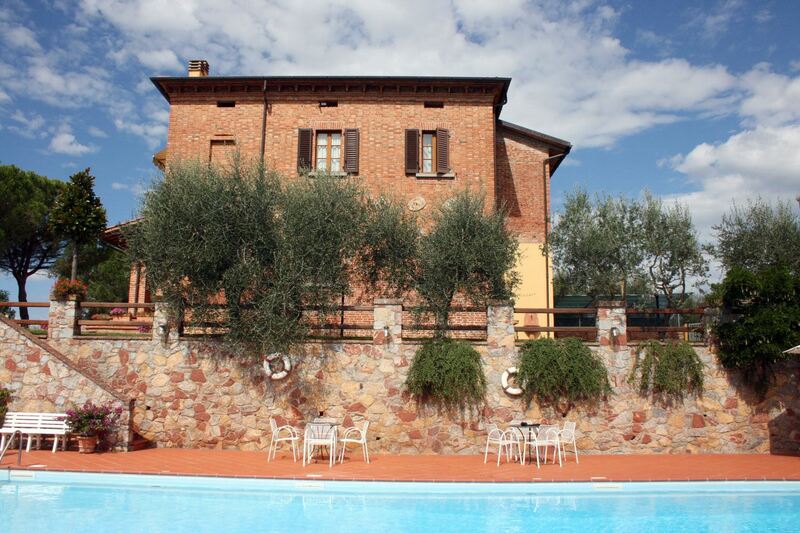 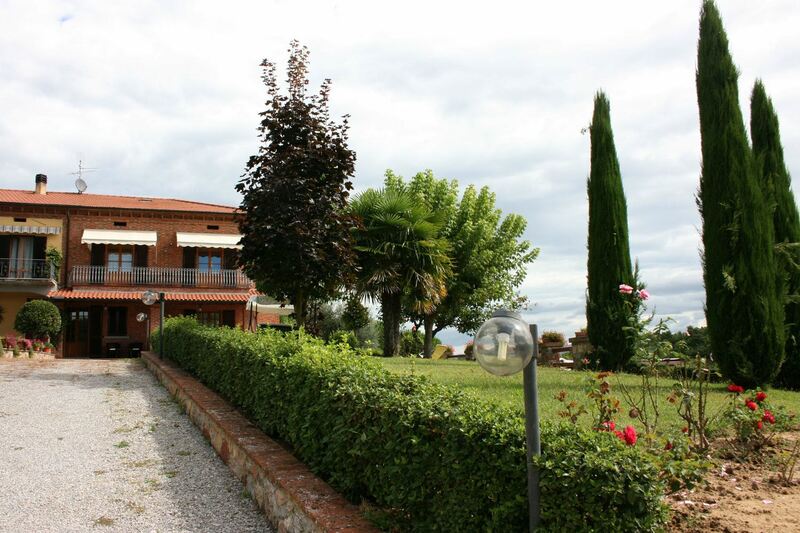 Lots of space, clean apartment, quiet and typical Tuscany region, big pool, friendly people.